Hi everyone! 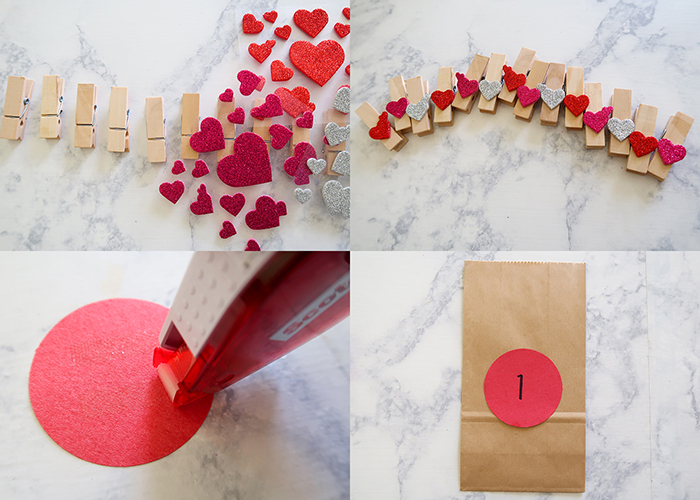 Today I’m going to show you how to make this Valentine’s Day Advent Calendar. 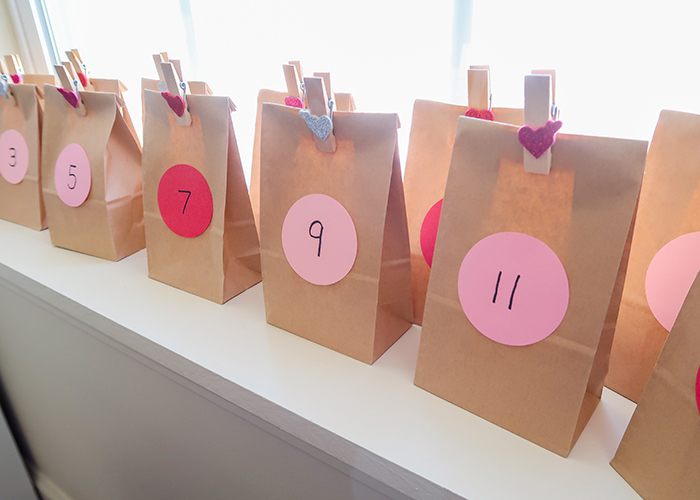 This is a great way to do a Valentine’s Day countdown for your kids, and using small paper bags makes it a super flexible project. Here’s what you’ll need! 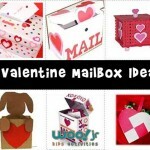 You might also like our Valentine’s Day hidden pictures pages! 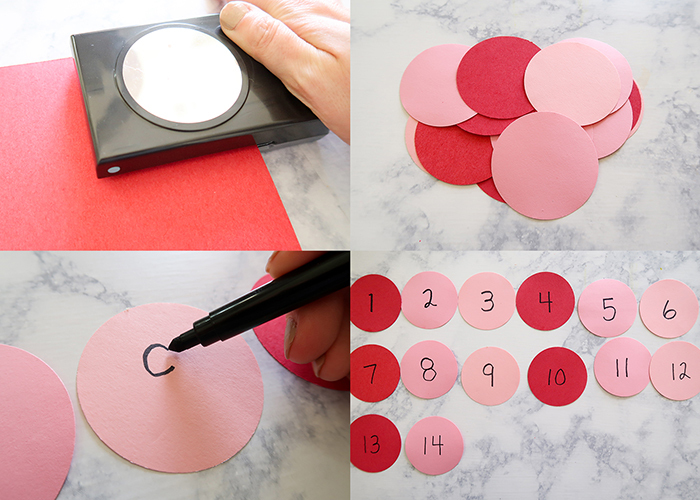 Start by punching out 14 red and pink circles, and use the black marker to label each one with the numbers from 1-14. 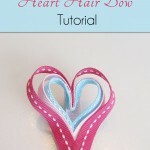 If you don’t have a circle punch, you can cut them out with scissors as well. 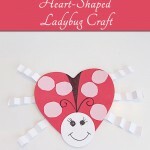 Take 14 small clothespins and decorate them with you heart stickers. Next, go ahead and place adhesive on the back of each of your circles, and attach them to the front of each of your paper bags. 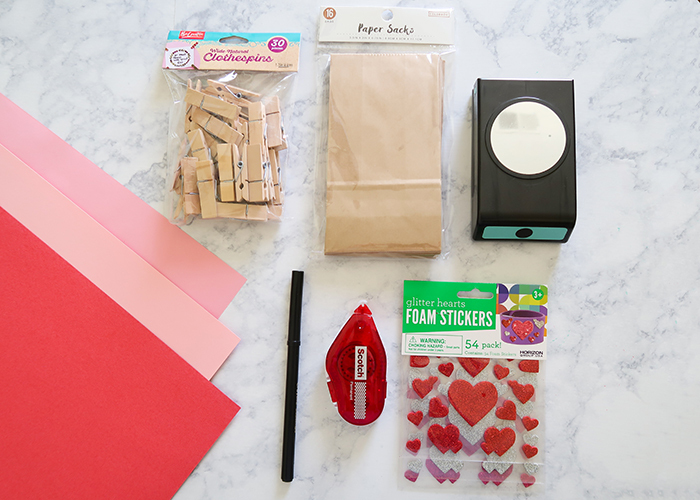 Fold over the top of each paper bag, and secure with a clothespin! 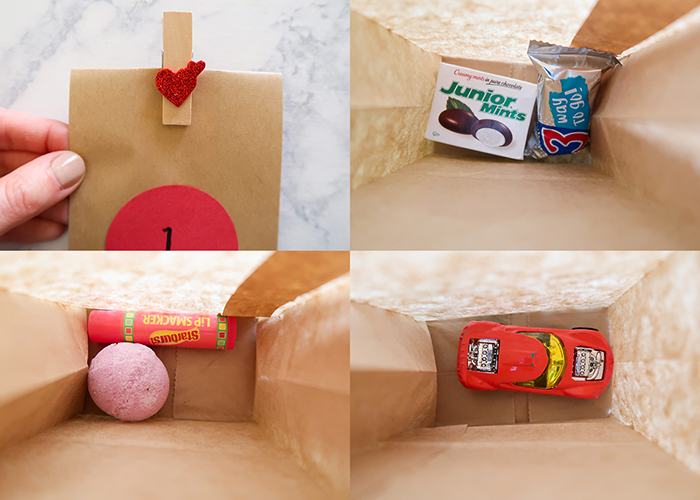 Now you can fill your advent calendar with all kinds of fun goodies. I recommend checking your local Dollar Tree and clearance section for good fillers. 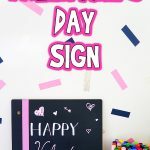 My favorite calendar filler ideas include toy cars, pokemon cards, candy, lip balm, bath bombs, nail polish, Lego minifigures, funny socks, or even notes about that day’s adventure like a trip to the library or getting to have a movie night. 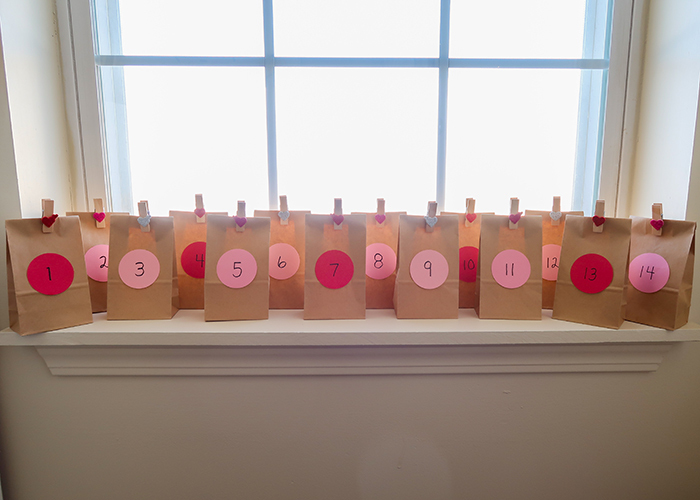 I set my advent calendar on a windowsill, but you can set yours up on a bookshelf, mantel, or even string it on a piece of ribbon to make a garland to hang on the wall. 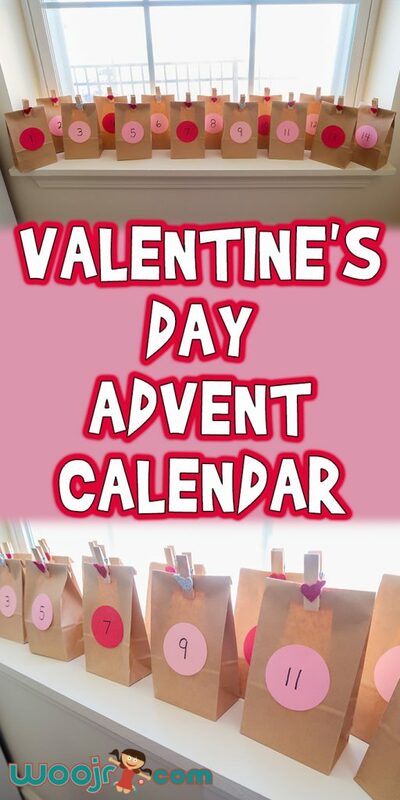 I hope you have fun making your own Valentine’s Day Advent Calendar for your little ones to open and enjoy! 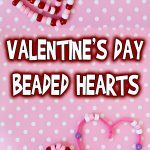 And the great thing is that the bags can be folded back flat and stored with your Valentine’s decorations to be used next year too!